The Museo del Prado, with the exclusive support of Fundación BBVA, offers to the public the exceptional opportunity of enjoying more than two hundred works of art from the Hispanic Society Museum & Library founded to promote the art and culture of the Hispanic world in The United States. The Hispanic Society holds the most important collection of Hispanic art outside of our borders. With more than 18,000 works of art that spans from the Paleolithic Age to the 20th century, an extraordinary research library with more than 250,000 manuscripts and 35,000 rare books, which includes 250 incunables. There is no other institution in the world, even in Spain, that alone can offer such a complete vision of our history, art and culture. Archaeological artifacts, Roman sculpture, ceramics, glass, furniture, textiles, silverworks, medieval and Islamic works of art, masterworks from the Golden Age, colonial and 19th century Latin American art and Spanish painting from the 19th and 20th centuries are arranged chronologically and thematically. 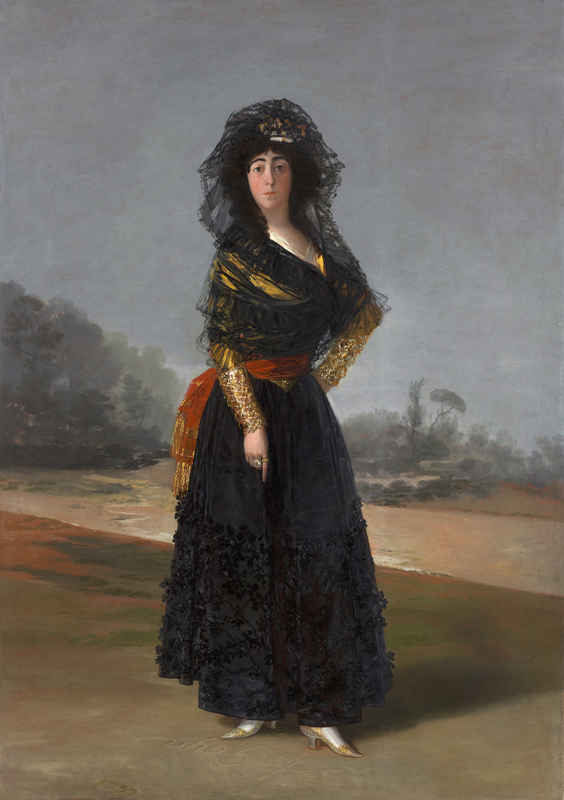 Their Spanish paintings, including The Duchess of Alba by Goya or Gaspar de Guzmán, Conde-Duque de Olivares by Velázquez, are in conversation with those of the Museo del Prado. Through September 10, the Museo del Prado will, in galleries A, B and C of the Jerónimos building, house the treasures of the museum and library of the Hispanic Society, an institution located in Upper Manhattan in New York, founded in 1904 by Archer Milton Huntington (1870-1955), one of America’s greatest philanthropists. He created an institution that reflected an appreciation of Spanish culture and the study of the literature and art of Spain, Portugal and Latin America. “Treasures of Hispanic Society of America. Visions of the Hispanic World” brings together more than two hundred works of art including paintings, drawings, and sculpture; archaeological artifacts and decorative arts, liturgical vestments, furniture and manuscripts from the library, creating a fascinating chronological and thematic experience of the highlights of their vast collections. With this exhibition, which occupies all of the temporary exhibition galleries in the new extension, the Museo del Prado – as they did for the exhibition “The Hermitage in the Prado” in 2012 – offers its visitors the privilege of enjoying a museum within another. In this case, the renovation of the Hispanic Society’s galleries has allowed the treasures of their collections of Spanish and Latin American art, along with rare books and manuscripts, to travel to Spain. Many of the works of art that will be shown have not previously been exhibited or were unknown, such as the reliquary busts of Santa Marta and Santa María Magdalena by Juan de Juni, and the Fates of Man, by Manuel Chili, known as Caspicara; and others have recently been identified such as the Map of Tequaltiche, which was thought to be lost. Besides the individual value of each work of art, this exceptional grouping gives context to the magnitude of the rich history of Hispanic culture in the Iberian Peninsula, America and Philippines that spans more than 3,000 years, shows a quality of art works that no museum outside of Spain can compete with, and demonstrates the passion of the unique collector who put his resources and knowledge towards the vision of creating a Spanish museum in America. 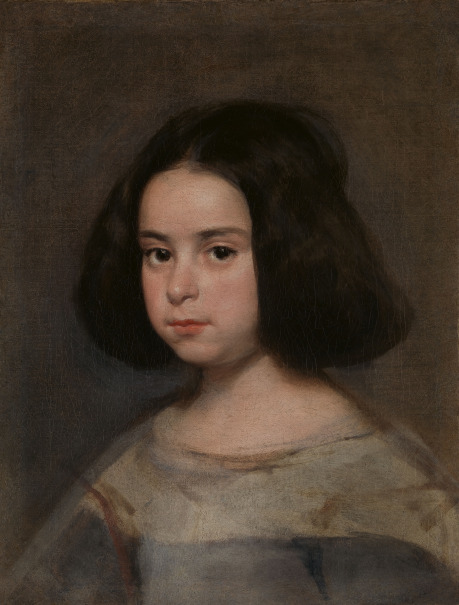 The extraordinary selection of paintings includes master works such as Portrait of a Little Girl, Camillo Astalli and Gaspar de Guzmán, Conde-Duque de Olivares by Velázquez, Pieta by El Greco, The Prodigal Son by Murillo, Santa Emerenciana by Zurbarán and the emblematic Duchess of Alba by Goya, especially conserved for this occasion at the Museo del Prado with the collaboration of Fundación Iberdrola. Also represented are paintings by post-impressionist and modern artists, such as Zuloaga, Sorolla and Santiago Rusiñol. The selection of sculpture includes, among others, the Efigie of Mencía Enríquez de Toledo from the Workshop of Gil de Siloé, the terracota, The Mystical Marriage of Saint Catherine, by Luisa Roldán, and Fates of Man, the group of polychromed wood sculptures by Manuel Chili, known as Caspicara. The exhibition also includes a selection of important archaeological artifacts, among them Celtiberian jewelry, Bell-Beaker vessels and a Visigothic belt buckle. Completing the survey, is a significant selection of decorative arts, with Renaissance and Baroque metalwork, ceramics from Manises, Talavera and Alcora, and an exquisite Pyxis made of ivory with gold plated hinges. Alongside these objects are textiles including a Fragment of the tunic of Prince Felipe de Castilla and a Nazrid silk textile. An innovative mounting technique will allow the important holdings of the library of the Hispanic Society to be displayed in such a way that it can be appreciated in all its splendor, relevant works include A grant (Privilegio) issued by Alfonso VII, king of Castile and León, Biblia sacra iuxta versionem vulgata. Bible in Latin; unique letters such as Holograph instructions for his son Philip, and the Letter to Phillip II of Spain from Elizabeth I, Queen of England and the Holograph letter, signed "Diego de Silva Velazquez” to Damián Gotiens, and various examples of maps including Portolan Atlas, by Battista Agnese and the Mapamundi by Juan Vespucci. Mitchell A. Codding, Hispanic Society of America. Display of the exhibition "Treasures from the Hispanic Society of America. Visions of the Hispanic World"
Archer Milton Huntington, only son of one of the wealthiest families in The United States, from a young age possessed a profound interest in the Hispanic world. 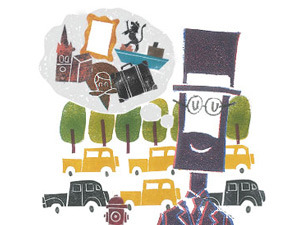 His education and numerous trips to Europe inspired an interest in collecting, always with the idea of creating a museum. In less than forty years, Huntington created a library and museum designed to elevate the study of Hispanic art through unparalleled collections in both scope and quality. At the same time, he published various facsimiles of important rare books and manuscripts. Huntington, in an effort to not deprive Spain of its artistic treasures, acquired most of his collection outside of the country. One can confirm, as did Jonathan Brown, that Huntington saw the Hispanic Society as an encyclopedic depository of Spanish art and literature. Huntington was one of the first Hispanists in the United States in the first half of the twentieth century. For this reason he was awarded by numerous American universities. 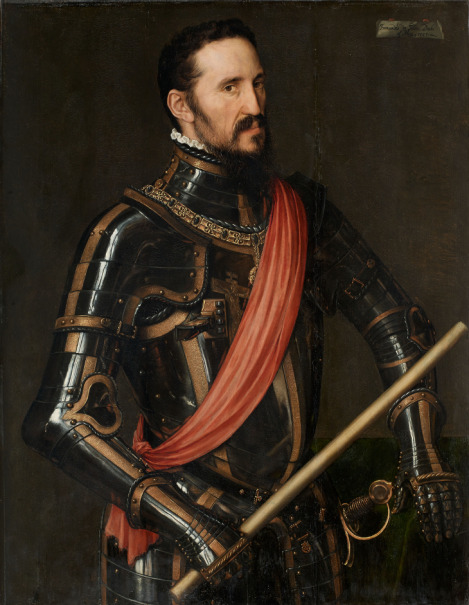 He was an active member of various Spanish museums and was invested as member of the Spanish Royal Academies. 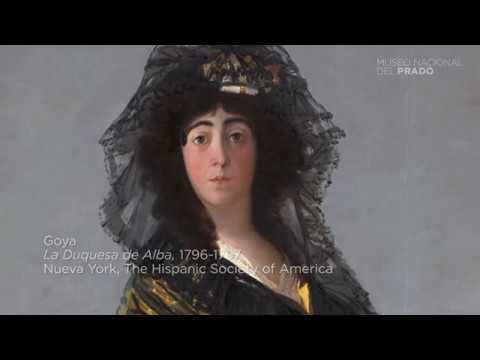 This exhibition pays homage to Huntington’s lifelong work for The Hispanic Society Museum & Library in the diffusion and study of Spanish culture in The United States of America. The first part of the exhibition (Galleries A and B) is organized chronologically and thematically by period in Spain and Latin America, and comprises archaeological artifacts from sites on the Iberian Peninsula, Roman sculpture, magnificent ceramics, glass, furniture, textiles, silverworks and Islamic and Medieval treasures as well as those from the Golden Age. Of particular relevance are Spanish painting, in dialogue with the collections of the Prado, and colonial art closely related to the peninsula’s artistic legacy. Also included is a section dedicated to the library at the Hispanic Society, one of the most important in the world, showing us the resources this unique library offers. 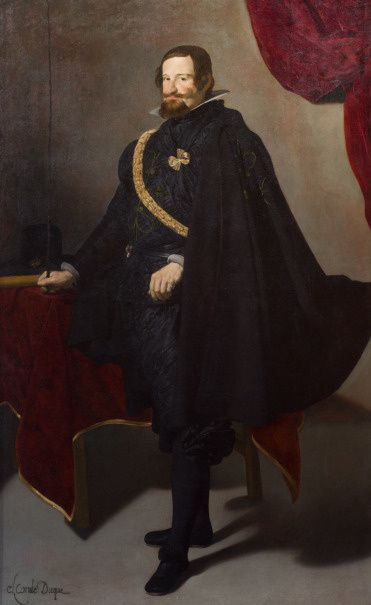 Gallery C offers a broad selection of the best Spanish painting from the 19th century through the early 20th century, including an exceptional collection of portraits of the leading Spanish scholars of that period, who worked closely with Huntington. After the First World War, Archer Huntington halted aquisitions, but maintained a close relationship with Spanish art and culture through his friendship with various painters, principally Joaquín Sorolla, who was comissioned to paint the famous series of large scale canvases depicting the regions of Spain for the Hispanic Society. Accompanying the exhibition, is a documentary projected in Gallery D, directed by Francesco Jodice, which transports the visitor to New York in the beginning of the twentieth century and narrates the history of the Hispanic Society and the passion of its founder, the philanthropist Archer Milton Huntington. The American philanthropist, Hispanist and collector Archer Milton Huntington (1870‒1955) realised his long-time dream of creating a “Spanish Museum” in 1908, when he opened the Hispanic Society Museum & Library in New York. It embodied his love of Spain and its language – in which he even wrote poetry – at a time when the country’s image was at its lowest ebb in the United States after the war of 1898. The newly opened Hispanic Society was novel in many aspects, though chiefly in its aim of presenting an overall view of Spanish history. This explains its dual nature as both museum and library, and its endeavour to become an active centre for research and dissemination of Spanish culture. The result was spectacular, as no other institution in or outside Spain provides such a complete view of the Hispanic world in terms of geographical scope, as it includes the Americas, Portugal and the Philippines, or covers such as long time span, from the Copper Age to the early 20th century. Despite the Hispanic Society’s broad scope, it should be remembered that it began with a contemporary outlook. Huntington struck up friendships with the foremost Spanish intellectuals of his day, whose portraits he collected, and commissioned works from avant-garde artists like Zuloaga and especially Sorolla, promoting them in the United States. Eager to provide American audiences with an all-encompassing view of the history of Spain, Huntington created a museum covering an extremely broad time span. Its holdings begin in the second millennium BC with one of the most complete collections of pottery of the so-called Bell-Beaker Culture and continue with ornate examples of Celtiberian metalwork. 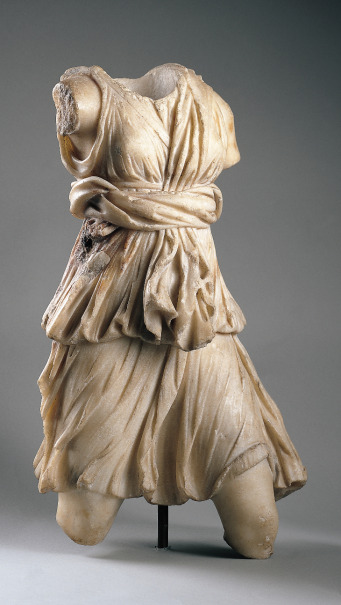 The survey of antiquity ends with an impressive range of Roman pieces executed in different media and techniques. Some of these items were unearthed during excavations funded by Huntington, such as those of the ancient Roman city of Itálica, from which the exquisite bust of a young man and the torso of Diana the huntress may have come. 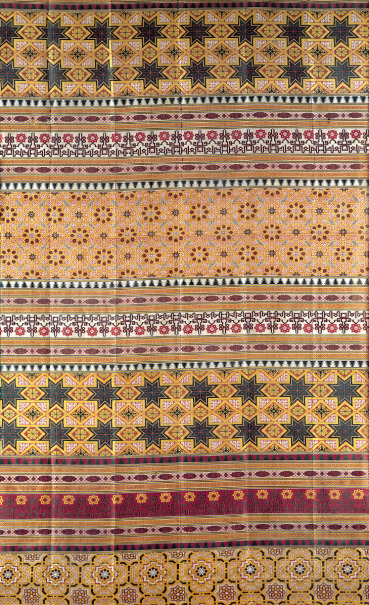 Many others were acquired abroad, including those found at the El Acebuchal site near Carmona (Seville) at the turn of the 19th to the 20th century. The Hispanic Society’s exceptional collections of medieval art encompass the various cultures that successively inhabited the Iberian Peninsula between the 5th and the 15th centuries. Prominent among them is Hispano-Islamic art, one of the passions of Huntington, who studied both Spanish and Arabic and, contrary to the prevailing opinion at the time, believed that Spain’s Islamic legacy was as significant as its Christian heritage. 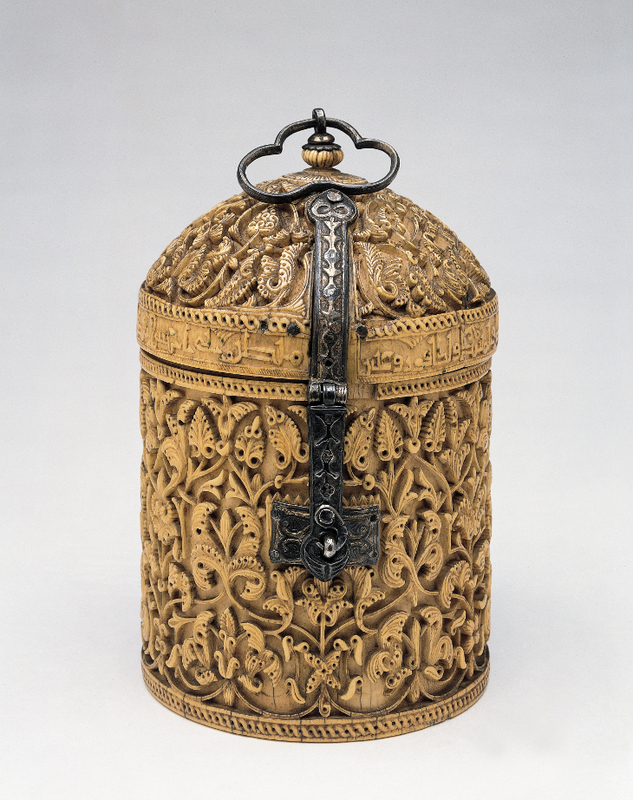 This view explains why, in addition to pieces crafted in Muslim territory – some truly extraordinary such as the Caliphal pyxis from Madīnat-al-Zahrā’ – he acquired hybrid objects fashioned in Christian territory by Muslim artisans, such as the lustreware of Manises (Valencia). The art of the Christian kingdoms of the Iberian Peninsula was not only receptive to Hispano-Islamic forms but also to ideas and styles from the rest of Europe. 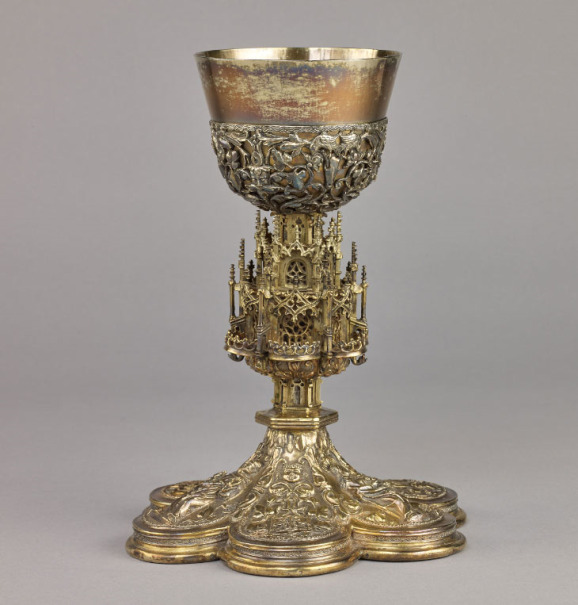 This section features a selection of pieces from the 15th and early 16th centuries. Crafted in different techniques and materials, they reflect the splendour of Gothic silverware and textiles, the emergence of the International Gothic style in Valencian painting around 1400, and the work of Northern European sculptors such as Gil de Siloé in Castile. Special mention should be made of the collection of door knockers with animal and anthropomorphic motifs, excellent examples of late medieval metalcraft. Huntington’s fascination with Spanish language and literature and his wish to provide a comprehensive view of the country’s culture explain his determination to assemble an excellent library. 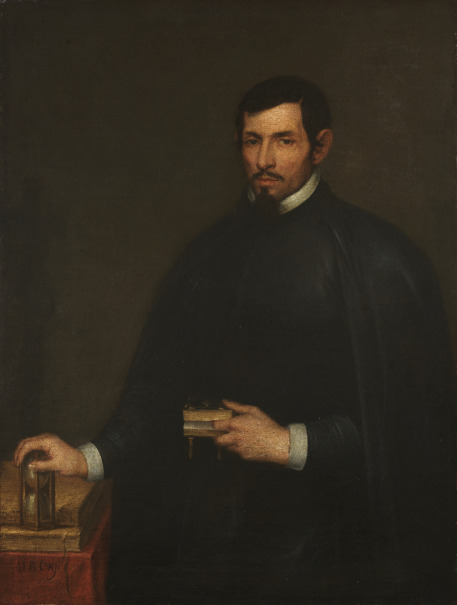 His strategy consisted in acquiring private libraries, notably that of the Marquis of Jerez de los Caballeros, which then boasted the best early Spanish holdings after the Biblioteca Nacional. He also turned to the specialist market: the German bookseller Hiersemann supplied him with thousands of unique works dating from before the First World War. The result is breathtaking: 300,000 volumes and 1,500 periodicals, including some 150,000 manuscripts and rare books dating from before 1701, 250 of which are incunabula (printed before 1500). 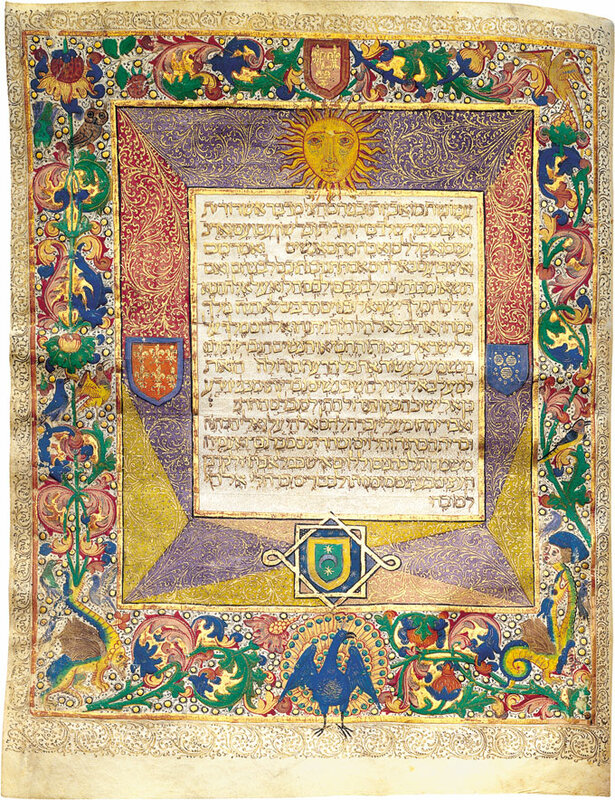 Some collections are outstandingly rich and rare, such as the 16 privilegios rodados (grants) of the 13th to the 15th centuries, the group of autograph letters written by key figures of Spanish history and culture, and the more than 600 cartas ejecutorias de hidalguía (letters parent of gentlemanly status). These letters, which always involved long and costly litigation, were particularly important because, by attesting to the claimant’s gentility, they not only confirmed his social status but also exempted him from certain payments and duties. If there was one period in Spanish art that was known and appreciated abroad when Huntington started out as a collector, it was the Golden Age, mainly its painting. Murillo and Velázquez were already featured in the world’s leading museums, soon to be followed by El Greco and Zurbarán. The Hispanic Society owns excellent works by all of them, as well as by Luis de Morales, Alonso Cano and Valdés Leal, but its three canvases by Velázquez, two restored especially for this exhibition, are particularly remarkable. Foreign artists such as Anthonis Mor and Rubens, who played an essential role in the development of Spanish painting and are represented here by paintings or letters, complete the overview. The Golden Age was not limited to painting; its sensibilities and excellence extended to other artistic activities such as pottery, precious metalcraft and sculpture. The sculptures on view include recent acquisitions such as Saint Acisclus by Pedro de Mena and The Mystical Marriage of Saint Catherine by La Roldana. They attest to the current fascination for polychrome sculpture, which was underappreciated until only recently. The section ends with a large canvas by Sebastián Muñoz depicting the body of Queen María Luisa de Orléans, wife of Charles II, lying in state. Unique in its kind, it is a gloomy premonition of the imminent end of the Habsburgs in Spain. This section marks the transition from the Iberian Peninsula to the Americas. It includes some of the finest examples from the Hispanic Society’s exceptional map collection, which attests to Europe’s expanding geographical and existential horizons at the turn of the 15th to the 16th century. Both useful and luxurious, these objects are also artworks and compendiums of the scientific knowledge of the period, such as Mediterranean portolans and Giovanni Vespucci’s World Map. The European vision contrasts with the world view of the native Americans, whose very different perception of time and space is illustrated by the Map of Tequaltiche and the Geneaology of Macuilxochitl. Huntington believed that Spain’s post-15th-century history and culture were inseparable from the Americas. 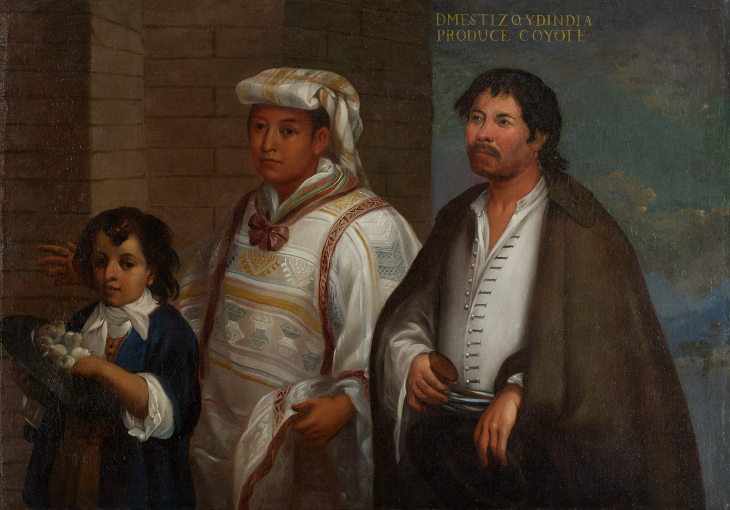 It was he who began the collections of colonial art, which have not ceased to grow since then, in pace with the increasing importance of the Hispanic population in the United States. The collections of Latin American art are very impressive in their time span, techniques and media. 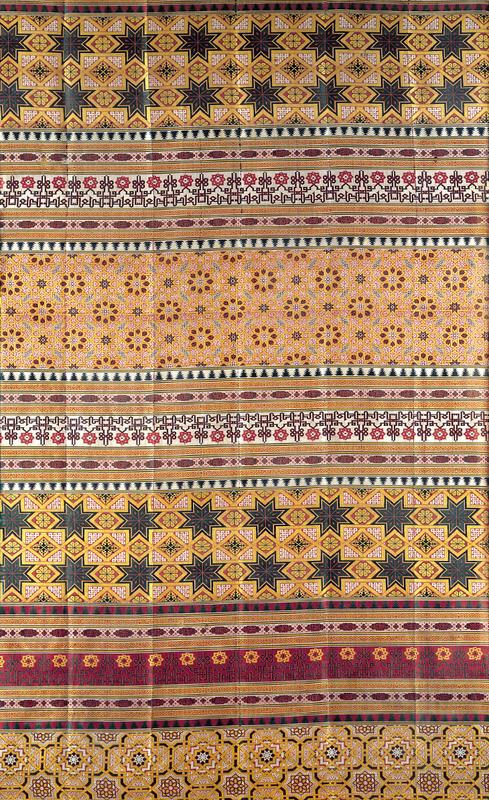 They include paintings, sculptures and works on paper, but excel in the decorative arts, which provide the best examples of the creative genius of the indigenous craftsmen who succeeded in adapting European forms to their traditional materials and techniques, as well as adopting Asian motifs and materials. In the Americas, the 18th century witnessed the Bourbon reforms and the introduction of Enlightenment institutions and ideas, but also the gradual adoption by the criollo (locally born of European descent) elites of a strong sense of identity that culminated in the emancipation movements in the first decades of the following century. This section illustrates some of the milestones of these processes, such as the classifying intent of the casta paintings (depictions of the racial mixtures prevalent in colonial society), the establishment of academies by Spanish artists, and the civic pride of the criollos who became rulers of the various republics following Independence. The Napoleonic invasion, the independence of Spain’s American colonies and the death of Ferdinand VII marked a point of no return in Spanish history. It might be said that these events put an end to a “long 18th century” that had witnessed the advent to the throne of the Bourbon dynasty, the European-inspired Enlightenment reforms, and the plans to remodel the country – represented here by pieces from the royal earthenware and porcelain factory of Alcora, the porcelain factory of Buen Retiro and the glass factory of La Granja – but also homegrown reactions such as nobles’ fascination with the customs and dress of lower-class majos and majas, which is superbly captured by Goya in his portrait of the Duchess of Alba. 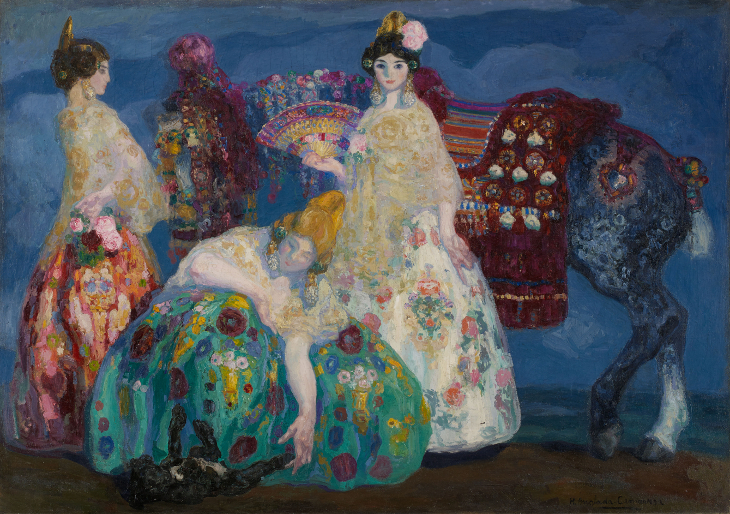 Spanish painting of the 19th and 20th centuries was particularly prominent in the collection Huntington began assembling in the first decade of the 20th century. He chose some works by foremost artists already deceased, such as Federico de Madrazo and Mariano Fortuny, though he acquired most from living artists. Huntington was particularly interested in painters’ depictions of Spanish landscapes and human types. At a time when the country was undergoing deep changes, his endeavour revealed a pursuit of what was considered to embody the authentic essence of Spain. 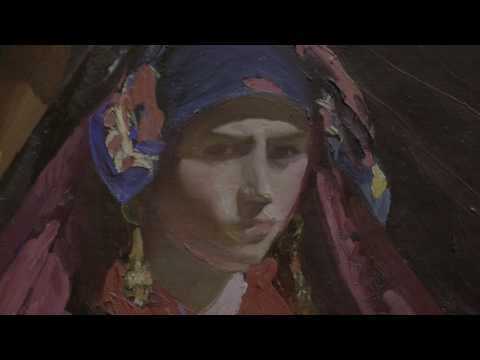 It was very important to the collector that these works should reflect the diversity of the various regions, and it was with this idea in mind that he commissioned Joaquín Sorolla to paint the Vision of Spain. He thus assembled unique, extensive holdings with a specific identity: a collection built in New York from a new perspective – that of the young power which had won the war of 1898 and was full of admiration for a nation with a rich history and culture. 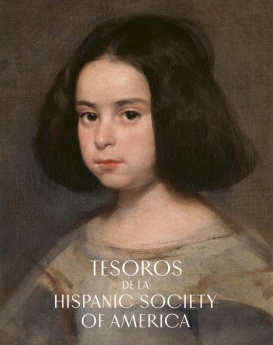 The exhibition “Treasures of the Hispanic Society of America. 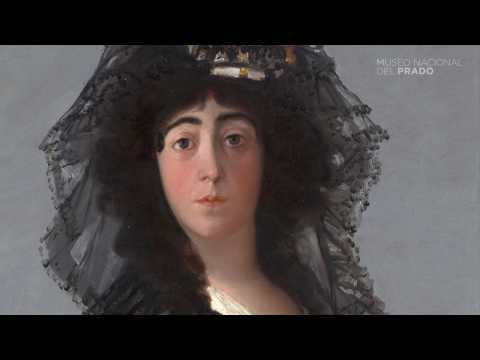 Visions of the Hispanic World” is accompanied by a documentary film in Gallery D, produced by the Prado Museum and sponsored by Fundación BBVA. Under the artistic direction of Francesco Jodice, the film transports the visitor to early twentieth century New York, the key time and place for the early history of the Hispanic Society. The documentary film contextualizes the origins of the early collecting practices of Archer Milton Huntington; the construction and inauguration of the headquarters of the Hispanic Society; his collections and the fantastic holdings of the library; his relationship with Spain through Alfonso XII and the great Spanish intellectuals of the era; his friendship with Sorolla in New York; and the philanthropy of this great patron who wanted to remain anonymous during his entire life. The story is told by the Director, Mitchell Codding, Chairman of the Board of Trustees, Philippe de Montebello, and the curators. The film, which runs for approximately 20 minutes, was filmed in New York and at the Prado Museum and is in English with Spanish subtitles. Earthenware high 7,8 cm; diameter 21 cm; 1,134 grams. Earthenware, high 18.7 cm; diameter 28 cm; 2,012 grams. Earthenware, high 11.8 cm; diameter 21.5 cm; 1,531 grams. Silver, high 3.6 cm; width 16.5 cm; length 17.2 cm; 794 grams. Electro, diameter 15 cm; 283 grams. Gold, silver, diameter 14,1 cm; 283.5 grams. Silver, length 14 cm; max. diameter 6.5 cm; 255.15 grams. Silver, length15.3 cm; diameter 7.1 cm; 368.5 grams. Silver, gold foil, high 3.1 cm; width 4.5 cm; length 6.7 cm; 368.5 grams. Roman. Villanueva del Trabuco, Málaga. Bronze, high 24.4 cm; width 24 cm; base 29.1 cm; 3,969 grams. Roman. Nuestra Señora de Tiermes, Soria. Silver (incluiding the handle), high 6.6 cm; length 22 cm (incluiding the handle), base 11.5 cm; 539 grams. Silver (incluiding the handle), high 6.6 cm; length 22 cm (incluiding the handle); base 11.5 cm; 539 grams. Tempera on wood, high 210 cm Framed high 207 cm; width 82.5 cm; depth 24.5 cm con dosel. Cuéllar (Segovia), church of San Francisco. 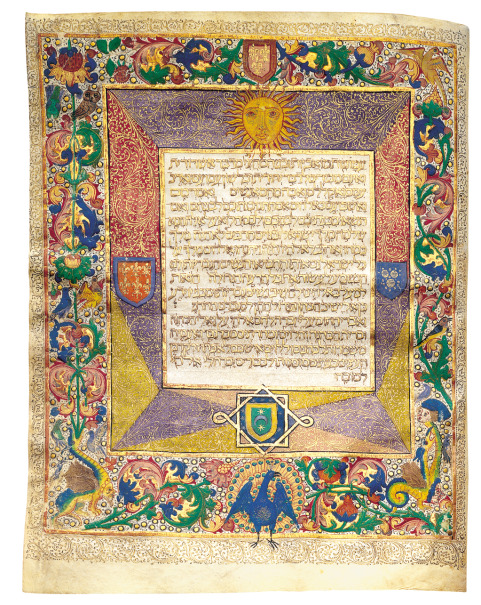 A grant (Privilegio) issued by Alfonso VII, king of Castile and León. Manuscrito iluminado sobre pergamino, 30,5 x 21 cm. Transparent cobalt glass with opaque white threads, diameter 23.5 cm (tray). Gouache and mixed drawing media on paper, 54 cm x 33.5 cm Unframed. Gouache and mixed drawing media on paper, 54.3 cm x 38.5 cm Unframed.